Find FTRI & the HearMobile! ShopHear’s Assisted Listening Devices are tools that meet the need for information to be delivered in a manner that compensates for a hearing loss. The Center’s Retail Store offers a variety of products designed to exceed your expectations. Makes every word loud and clear, so you can participate in life with confidence. 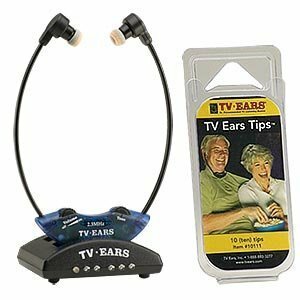 The advanced technology sends important sounds, like people’s voices, to hearing aids, headphones or earphones. Its compact design allows for it to discreetly tag along wherever you go. It features a built-in telecoil for use with induction loop systems, large function buttons for volume and tone control, and a built in microphone. 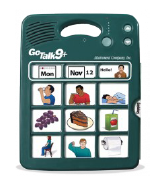 Ideal for small groups and communicating one-on-one! Does your alarm clock wake everyone in the neighborhood except you? Four High-intensity flashing LED lights and a powerful bed shaker that also emits sound from directly under the pillow. 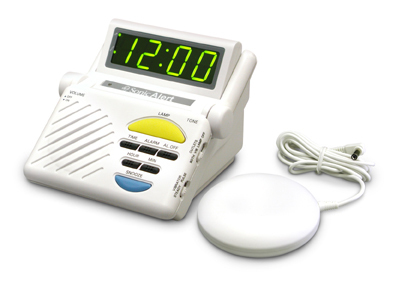 Features include a nightlight, adjustable backlight and a “smart” snooze! Perfect if you need to get up without waking others! Clip it! Stick it! Display it! The Klip Mobile Timer features Two Countdown Timers with Last – Setting Re-call, silent vibration and/or Audible Alerts, a stopwatch and elapsed time bar graphic! Don’t be late for that very important date! Enjoy watching your favorite shows with your family again. What makes the 5.0 series stand out is the Voice Clarifying Circuitry which amplifies human speech frequencies above background noise, making whispers and accents understandable. Combines loud and clear sound with great features. Its design makes it comfortable to use for those long conversations. 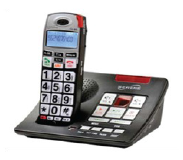 The Clarity XLC features tone control, speakerphone, visual indicators, talking caller Id and keypad. Store up to 50 names and numbers, too! The Central Alert 360 system features 2.4 GHz frequency with a 520 Hz square wave alarm sound! The unit includes 1 bed shaker and 1 doorbell, with the option of adding a remote receiver, lamp flasher, SOS button, motion detector, and a baby cry transmitter. Hear your phone ring, even from a distance! Extra loud ringer and visual ring indicator that notifies you of incoming calls. Living in Florida’s humid environment, this product will help to protect your investment. 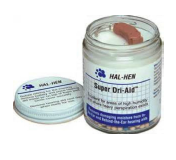 This conditioning system effectively removes moisture, dries earwax, kills germs and deodorizes your hearing instruments. This dryer accommodates up to two ear-level cochlear implant processors, four Behind the Ear hearing aids and one full body-worn processor. 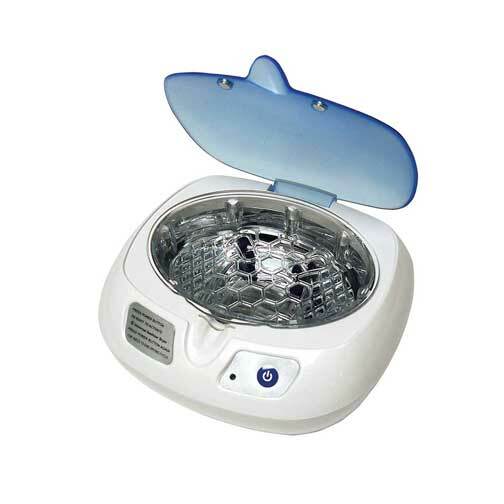 It has a highly-effective germicidal cycle and a quiet fan that gently circulates warm dry air. Provides fantastic sound with volume control, easy sequential recording, quick level erase, built-in overlay storage, record lock, and level lock. Finally initiate conversations, support daily activities, talk on the telephone, tell personal anecdotes, practice speaking and articulation, give instructions, participate in small group instruction and more. There are 9 message keys and 5 recording levels. Moisture is the enemy of all hearing aids. Dampness, humidity and body moisture reduce their sensitivity, shorten battery life and cause corrosion. Where moisture conditions are excessive, the sensitive microphone and receiver may even become inoperable. Has the strongest vibration of any battery-operated clock we’ve seen. Choose to be alerted by audible or vibration alarm, or use both. 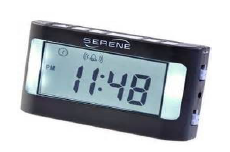 The many other features are just the icing on the cake (including tone control, 12 or 24 hour clock modes, large, bright screen, room temperature display, flashlight, pillow clip. 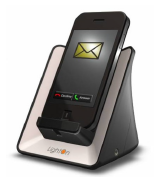 Stay notified of incoming calls, text mes-sages or emails from your cell phone. The Lighton flashes a bright LED pattern when it senses the vibration of your cell phone. Place your smartphone in the cradle and conduct sign language calls through your VRS, Skype, or other video software! 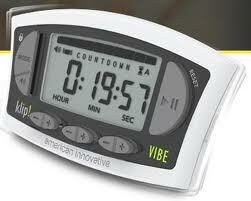 It features 2 vibration sensitivity settings and the option to add a bed shaker! Every Feature but the Kitchen Sink! 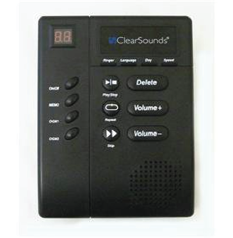 A digital answering machine allows you to hear your message loud and clear. When you’re in a hurry, reaching your family and friends will be easy with 8 one touch, photo memory buttons. 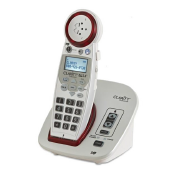 Other features include tone control, speakerphone, visual indicators, and hearing aid compatibility. 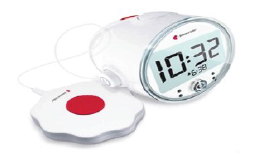 Take your Alarm Clock On-the-Go! These stylish and practical watches feature vibration, sound, timers, and alarm capabilities. 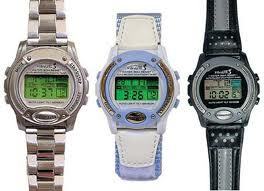 They are water resistant, have a backlit display and come in different styles and colors! Be confident that your baby is resting safe and sound! You always want to be confident your baby is resting soundly. The vibration and light notification lets you see, feel or hear your baby’s call from any where in the house. 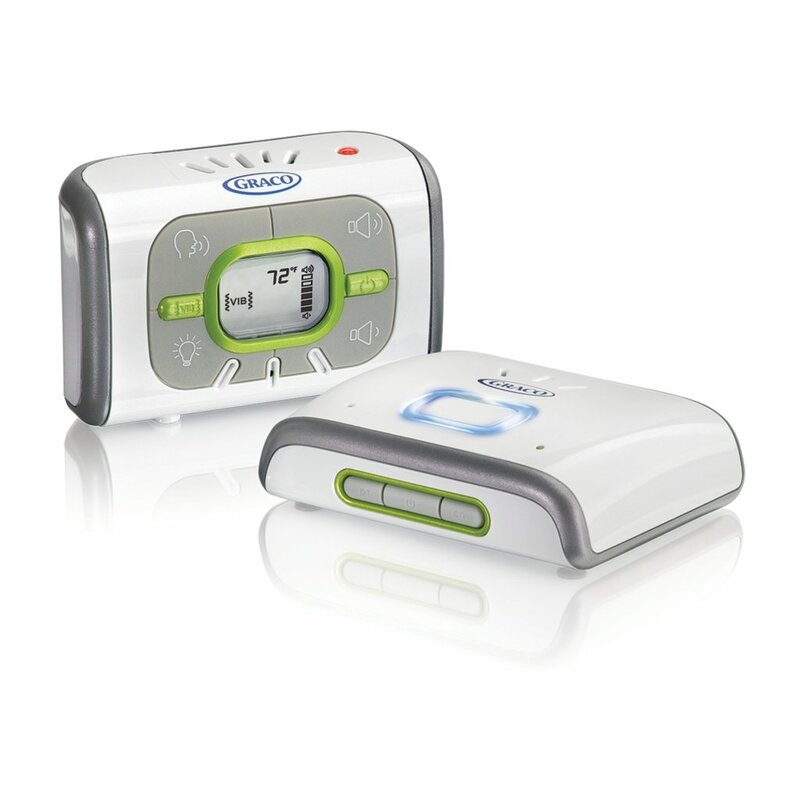 This device has vibration and light notification, the ability to talk to your baby and operate the nightlight through the parent unit, and a remote room temperature reading. Be alerted when someone knocks on your door. 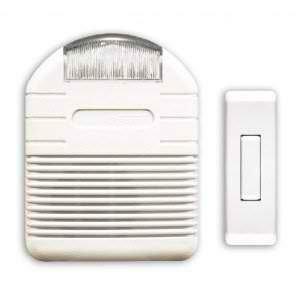 This signaler had a built-in 10 second strobe light and a loud sound that can be plugged into any wall outlet. It also has an adjustable audio chime! No more need to worry about those pesky sales calls! The large screen displays numbers and names for easy viewing. The Caller ID is voice announced and displays time, date, and total calls. 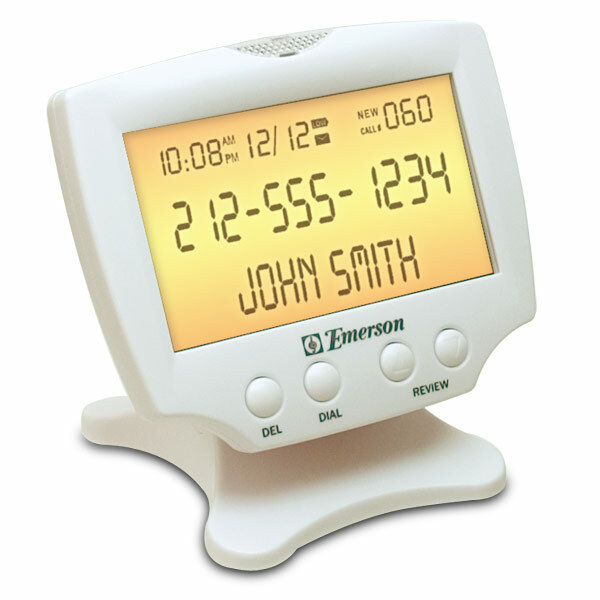 The Emerson Large Display Caller ID features jumbo backlit display, 60 name and number memory, and a Lighted LED visual ringer indicator. You can also mount it on your desk or wall! Enjoy using the phone again! Hi-Definition sound makes every word Crisp and easy to understand. It design with large buttons and talking caller ID makes it very user friendly. 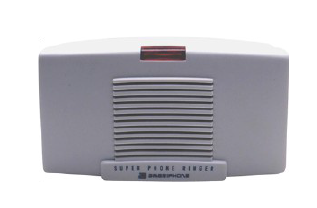 The Serene phone features tone control, visual indicators, a digital answering machine with adjustable speed play back, and voiced caller ID. Don’t miss that important call! Be alerted when your phone or videophone rings. 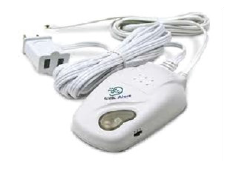 The Elite Deluxe Signaler is compatible with all sonic alert systems and can be with a lamp as a signaler. There is also a indicator light that warns when the lamp is off or light blub is burned out. Hear and understand your voice messages again! message by calling from any touch tone phone.